Most American companies place themselves at risk by relying on an oversimplified system for assigning responsibility for transportation (and related costs) and risk of loss when selling product. These are distinct issues, yet are often muddied with the traditional and inadequate "FOB" designation of either "origin" or "destination." This becomes an even more critical issue when moving product internationally which involves generally higher freight costs, but also potentially heavy customs related expenses and modalities of transportation (with more handling locations) which raise the risk of loss or damage. Once you understand the complexity and range of potential scenarios it is easy to see why the generic "FOB" identification is inadequate. The solution is a more comprehensive and nuanced system for demarcation of responsibility for costs and assignment of risk of loss. 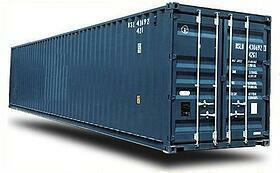 The ICC (International Chamber of Commerce) offers a system to do just that - in the form of their Incoterms. One commonly sees Incoterms 2000 referenced, but a recent simplification (from 13 to 11 scenarios) of the system led to a new set of guidelines known as Incoterms 2010. These clearly identify to which party each possible cost falls, as well as at which point the risk of loss is transferred. Referring to an Incoterm, and referencing the program (e.g. EXW Incoterms 2010) offers a clear, commercially acceptable outline of responsibility. But as every business person knows, responsibility is different than cash in the bank. Many a company has been damaged by deals in which products are lost or damaged, assignment of risk was clear, but the responsible party was inadequately insured or refuses to pay. A properly written L/C can minimize this risk, but even in that case a relationship with a partner can be jeopardized. And in cases of sales with at least some balance to be paid on open account terms, the exposure is more substantial. The answer is proper insurance. Companies should review broad business trade objectives with their insurance agents, address specific circumstances that diverge from those, and either require proof of insurance from counter-parties or purchase shipment specific coverage. Generally in the case of the latter, it is suggested to cover the cost of the product, plus transit, plus 10% for contingencies. Remember that if the steamship line damages your product you will still be responsible to pay your forwarders bill! As the saying goes, forewarned is forearmed. Understand (and don't be intimidated by new terms) that to which you agree and then ensure that you are properly protected. Experienced global business expertise is key to anticipating problem scenarios, and capable, reliable, creative and knowledgeable logistics partners are rare...and invaluable.